The 5089 filter is a voltage controlled, discrete analog, 24 db/oct transistor ladder, low-pass filter, equipped with hand-matched transistors. This ladder low-pass filter—a subtractive analog sound synthesis foundation—in its lowest FREQUENCY setting removes, or cuts off higher frequency harmonics; its RESONANCE or Q circuit emphasizes those harmonics to the point of “squealy” self-oscillation, tracking the keyboard in its FULL setting quite nicely if seeking an alternative sine wave. 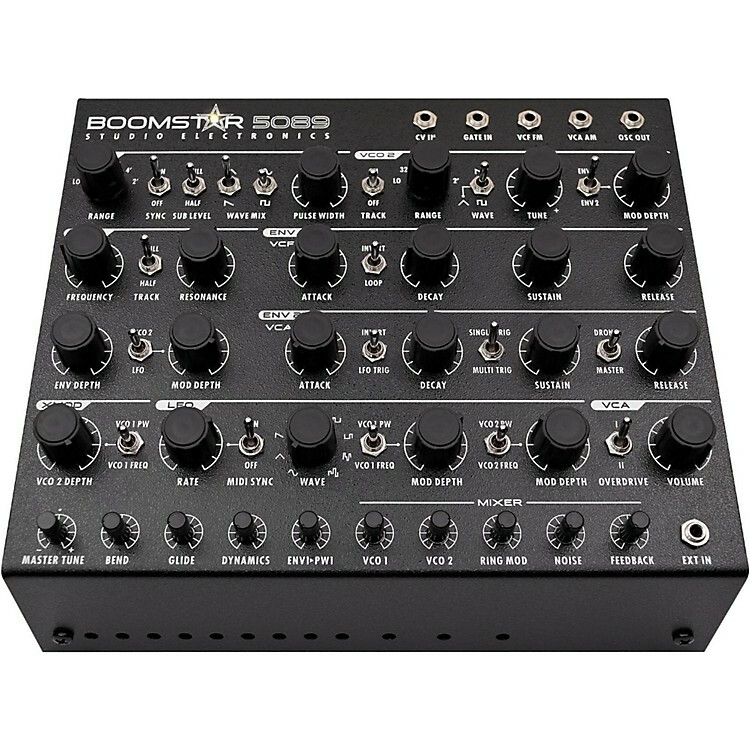 The 5089 has the roundest, slickest tone of all the Boomstar's filters. Go easy on it, and round, creamy buttery flavors wrap the oscillators in an earthy warmth; smash it and a meaty, satisfying overdrive—a maximum harvest of vintage 1960s and 1970s organic‑sounding, second‑order harmonic distortion emerge. Every setting is balanced and bountiful. Looking for traditional R ’n B baselines and leads? Focus on the rich saturation of this benchmark filter and its symmetrical cascades of generation-stretching timbres. All Boomstar Modular filters are hand-built in the USA. Three attenuverter and four attenuation pots control the FREQUENCY, RESONANCE, FREQ CV 1, RESO CV, FREQ CV 2, INPUT and OUTPUT, delivering smooth, detailed, and complex expression. Order soon and experience subtractive analog synthesis in your modular system.